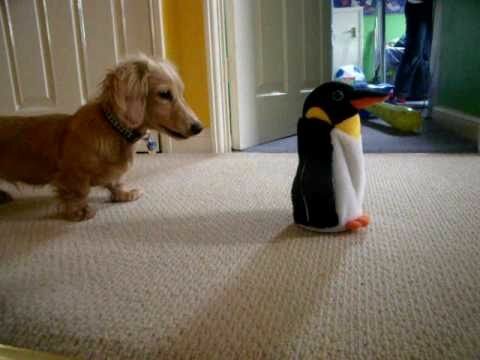 This cute Dachshund puppy named Rocky was confused with the mechanical penguin toy just standing there in front of him. But as soon as the penguin toy started to move and sing, he excitedly runs from one room to another repeatedly passing by it. He was so happy to have found a new friend. What an epic reaction!